Specialists in threading rifles and pistol barrels. 10mmx1 Female to 1/2x28 Male Adapter. 10mmx1 Female to 1/2x28 Male Adapter. 13.5mmx1LH Metric thread protector. 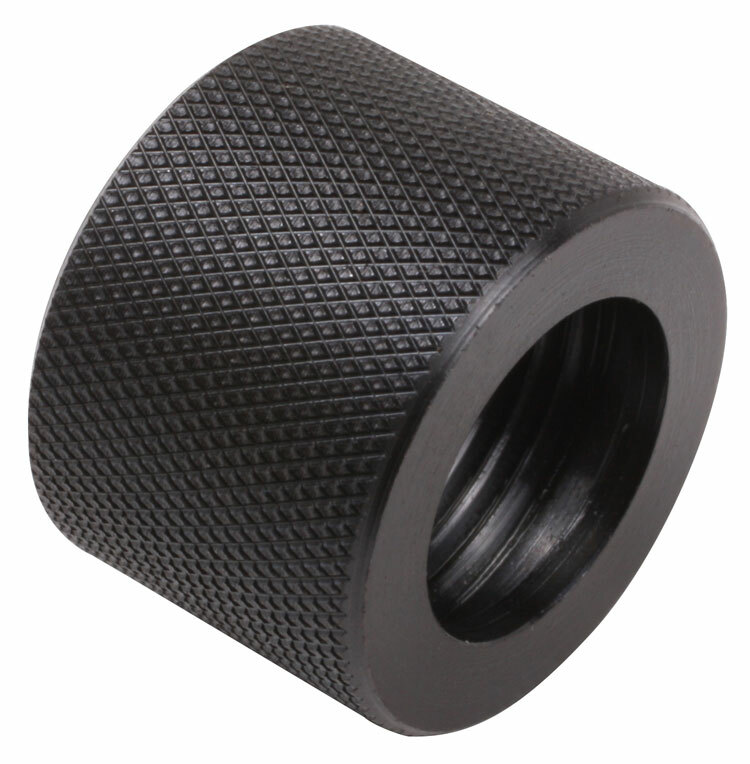 13.5mmx1LH Metric thread protector. 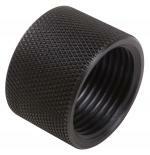 16mmx1LH Metric thread protector. 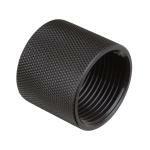 16mmx1LH Metric thread protector. 1/2"-28 by 0.400" long thread protector. 1/2"-28 by 0.400" long thread protector. 1/2"-28 by 0.330" long thread protector. 1/2"-28 by 0.330" long thread protector. 10mmx1 thread protector. 10mmx1 thread protector. Bored for 9mm AR15/M16A1 Flash with 1/2-28 Threads. Slots all the way around. Bored for 9mm AR15/M16A1 Flash with 1/2-28 Threads. Slots all the way around. 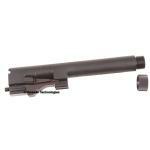 Factory Beretta 21 barrel, threaded 1/2-28 by Tornado. Comes with knurled thread protector. 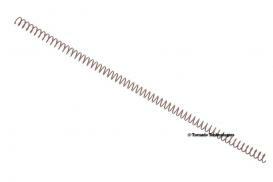 Factory Beretta 21 barrel, threaded 1/2-28 by Tornado. Comes with knurled thread protector. 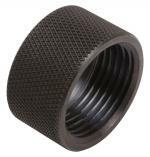 14.5mmx1LH Metric thread protector. 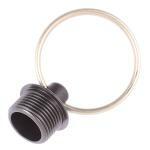 14.5mmx1LH Metric thread protector. Bored for 9mm AR15/M16 A2 (one bird cage slot closed on bottom) Flash Hider with1/2-28 Threads. Bored for 9mm AR15/M16 A2 (one bird cage slot closed on bottom) Flash Hider with1/2-28 Threads. 16mmx1RH (Right Hand) Metric thread protector. 16mmx1RH (Right Hand) Metric thread protector. 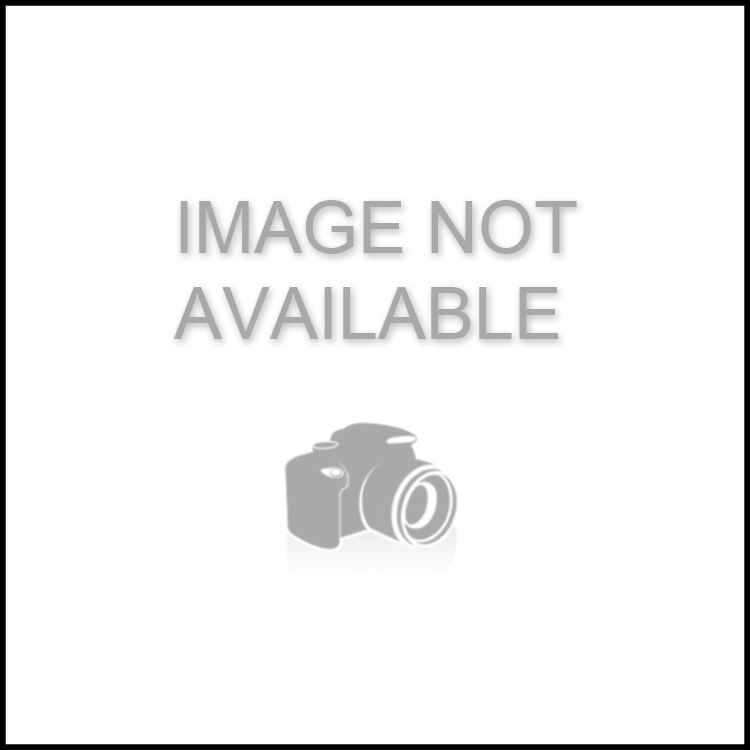 Stainles Steel 1/2"-28 by 0.400" long thread protector. Stainles Steel 1/2"-28 by 0.400" long thread protector. Tornado Technologies OXY22 - Specific-Purpose, wet, wiped suppressor, with keyring adapter. 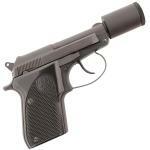 Tornado Technologies OXY22 - Specific-Purpose, wet, wiped suppressor, with keyring adapter. 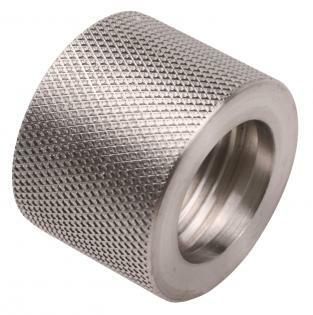 Stainless Steel 13.5mmx1LH Metric thread protector. 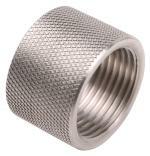 Stainless Steel 13.5mmx1LH Metric thread protector.